We forgot to lay our kitchen table chairs sideways on the ground so that our adventurous one year old wouldn't climb on top of the table. If he sees an empty chair, his short stocky little legs make a run for it. He's pretty quick that little guy! Usually he climbs to get a good view of the room (& give me a panic attack), but today was for a different reason--, his older siblings left a pile of colorful craft sticks on the table! 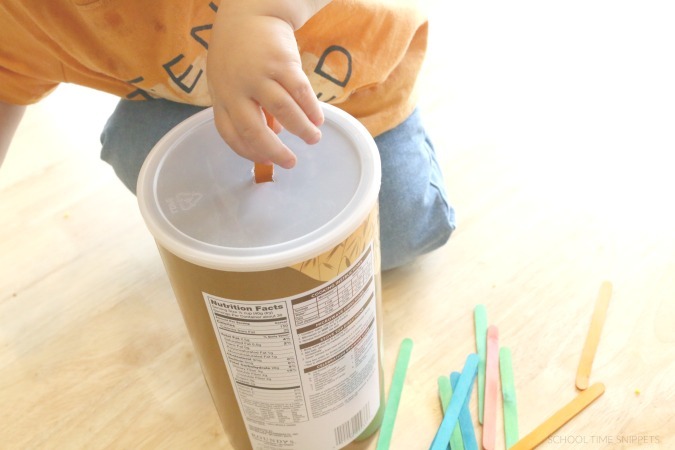 Instead of whisking him away, I grabbed an empty oatmeal container and set up a ridiculously simple activity that kept my toddler busy for more than a minute! It took seconds to prepare, you've got to give this activity a try, too! I keep a stash of empty containers in our kitchen closet-- empty containers, egg cartons, empty paper tubes, etc. etc. You just never know when you'll need an empty egg carton to hold paint for an art project or when you'll need an empty container for such a task as this! My hubs gets after me about my growing pantry stash, but I just can't seem to get rid of them.... yet! Grab an empty container; I used an tall oatmeal container. Prior to letting your toddler use the container, cut a small rectangle in the top of the lid with a knife. You want the hole to be big enough for the popsicle sticks (or another manipulative safe for little hands) to fit through. 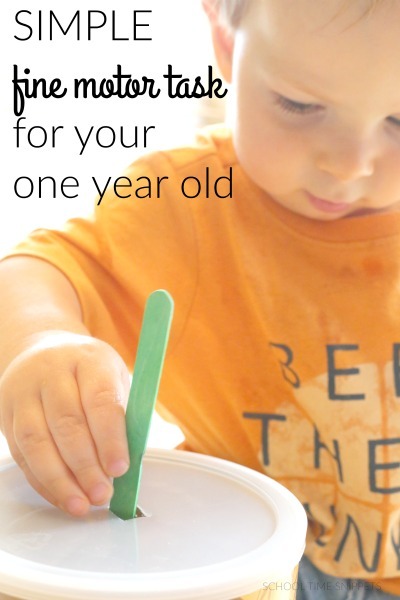 Show your one year old how to insert the popsicle stick into the hole. That's it! Now it's your child's turn to do it! This activity is great for hand-eye coordination, encourages bi-lateral movement, and fine motor skills! 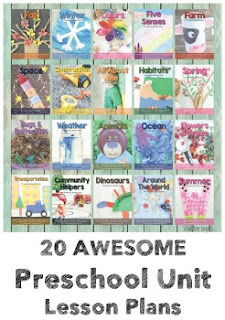 It lends itself to be an easy activity to put together for some one-on-one time with your little one. Listen to the noise as they drop. Open the container and dump all the sticks out and do it again! It is so simple to put together, it's ridiculous! Who knew an empty container could be so fun? !